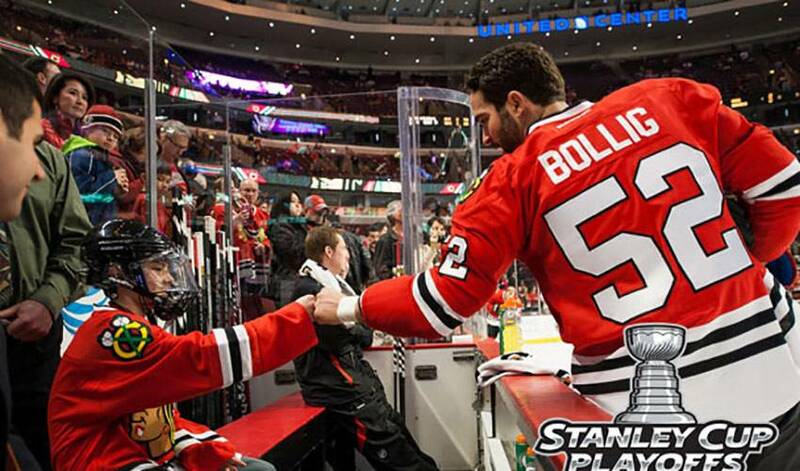 Shortly after Brandon Bollig and the Chicago Blackhawks punched their ticket to the Western Conference final, the power-forward netted the right answer when it came to a little NHL trivia. When asked which player scored his first big-league goal two years and one month ago, in a playoff game against the Phoenix Coyotes, Bollig had an inclination as to what the answer might be. “Well, if you’re asking me, and I think I’ve got it right, I’m guessing that would be me,” said the 27-year-old. That tally, on April 14, 2012, came just over a year before Bollig would become the first St. Louis-born player to win the Stanley Cup. He’s appeared in 18 post-season games to date, his most recent action coming against the Minnesota Wild in a Western Conference semifinal that saw the ‘Hawks take the series in six games. There have been plenty of lessons learned along the way for Bollig, including one in particular he often reminds himself of. Still, tight games are never easy on the nerves. Chicago will have to wait until Friday night to find out if they play Anaheim or Los Angeles next, with the winner earning a berth in the Stanley Cup final. It’s even better if you are still playing. It’s anything but a trivial pursuit for Chicago’s #52.